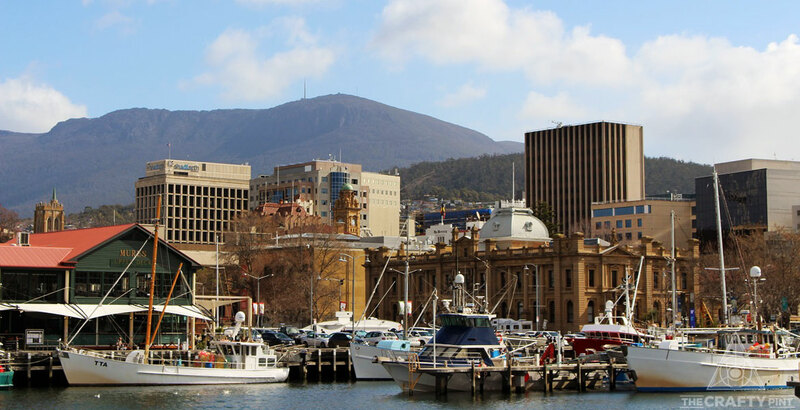 Hobart is Australia’s second oldest city, and for more than two centuries, Hobartians have not been shy of a drink. Over the course of many decades, the various breweries in the Vandemonian capital became consolidated into a single big one, but recent years have seen a proliferation of inventive and innovative new breweries come to life throughout Tasmania, with a growing number calling Hobart home. In what was once seen as a sleepy corner of the colony, there is now an incredibly lively strip of eating and drinking establishments running from the historic Salamanca Place up to the thriving neighbourhood of North Hobart. Over the course of these two kilometres, you’ll likely find some of the best produce in the country. The beer is certainly bloody good, and why shouldn’t it be? Some of the world's most sought after hop varieties climb their trellises just down the road, barley is grown in nearby paddocks, and Tassie’s been doing this brewing thing for a long while now. With such a collection of breweries, pubs and bars in the city, we thought it would be best to divide our guide to the city into two parts – venues and breweries. Here, you’ll find the best venues the city has to offer – you'll find the breweries here. Starting from the edge of Battery Point and making your across the city’s centre and into North Hobart, it’s quite the walk from end to end. But, with plenty of good beer to be found along the way, it’s well and truly worth it. Located just a few blocks from Salamanca Place, Preachers has been a bastion of craft beer in Hobart longer than most. Fixed inside a cottage that dates to 1849 and feels a bit like the local’s local in a small British hamlet, its ten taps focus on Tasmanian beers mixed with quality offerings from the mainland. Preachers is located at: 5 Knopwood Street. 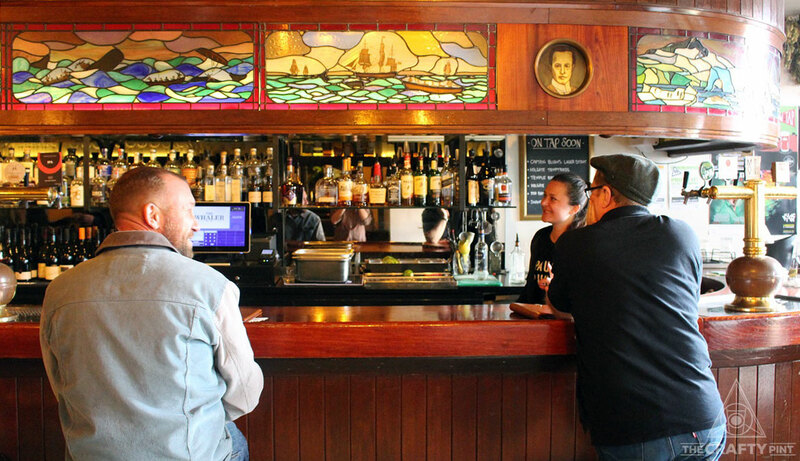 Just a short walk from Preachers and into the bustling hub that is Salamanca Place, The Whaler sits comfortably as one of Hobart’s finest spots for people watching with a good beer in hand. The Whaler has taken on a number of different names and guises since opening in 1829. Originally called The Whaler’s Return, the pub was something of a home for sailors returning from a life at sea who were eager to collect their wages and then promptly drink them until they could no longer stand. 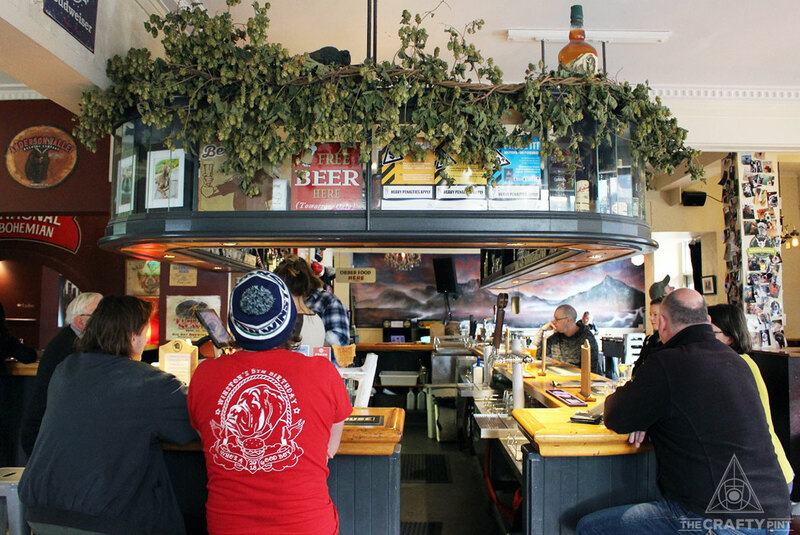 The Whaler has been in its current form since 2014, when Ben Hickey, who ran the Tasmanian International Beerfest, took over the pub and turned it more towards good beer. The Whaler can be found at 39 Salamanca Place. 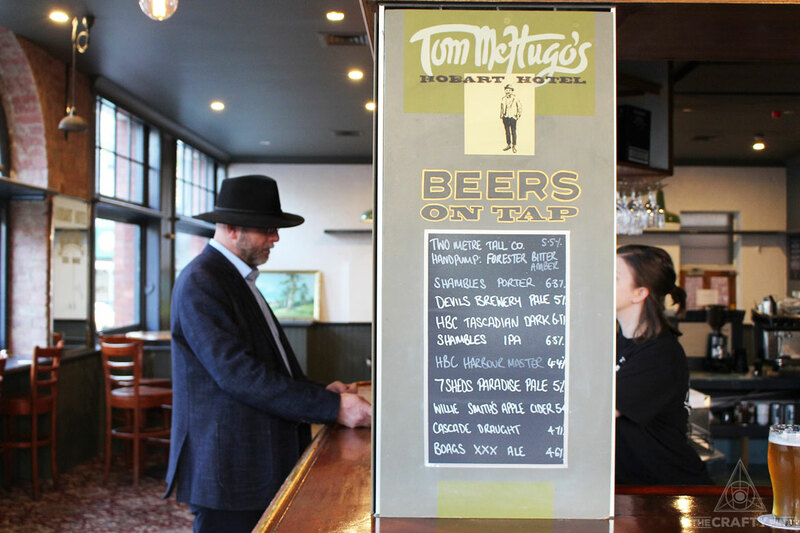 Tom McHugo’s brings a passion for local and quality booze and food to a classic corner pub. The old watering hole looks and feels like a traditional pub and, by virtue of its friendly staff, regular group of locals and sturdy old bar, in many ways it is. But a glance at the menu and tap list reveals a venue where not all is quite how it seems. It's owned and operated by Whitney Ball and Tom Westcott, the latter also head chef who sources his ingredients from local farmers and has a knack for utilising every part of any animal across the menu. It means a pie, the beef tongue and the charcuterie board likely all made it to the pub from the shortest of drives out of the city. A short stroll from Tom McHugo’s brings you to what has to be Hobart’s craftiest strip: Elizabeth Street. Towards the start of it sits one of Hobart’s most historic hotels, the New Sydney, one of the pioneers in terms of celebrating Tassie breweries on tap. With a fireplace, live music and good grub, the New Syd brings together all sorts of demographics – whether they’re bushwalkers, office workers, anarchists or good old Irish folkies. There’s never a dull moment in the New Sydney. Equally diverse is the range of beer. 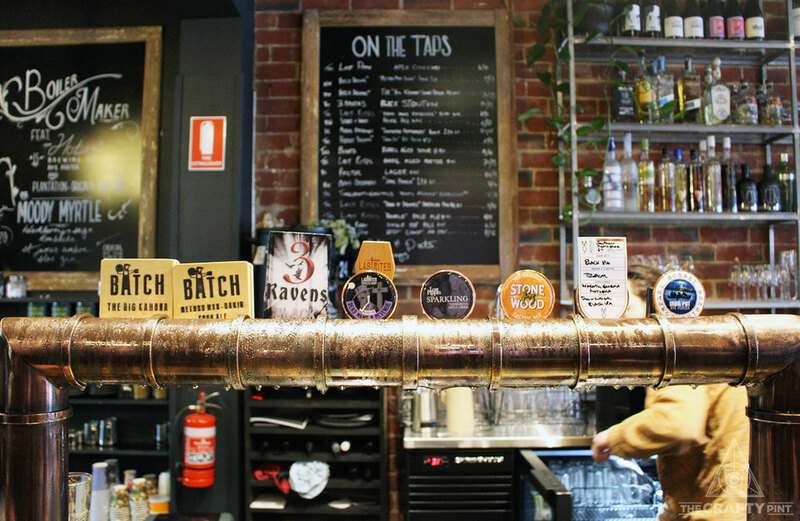 There are 15 taps, including a hand pump, and they’re almost all always pouring Tasmanian beers and ciders, many of them among the hardest to find on tap. If you time it right, you might catch one of the regular beer events too. The New Sydney has been wetting whistles on Bathurst Street since 1835, back when convicts and citizens were mingling in the front bar. Likely it’s only getting better, and rowdier, with age. The New Sydney Hotel is at 87 Bathurst Street. 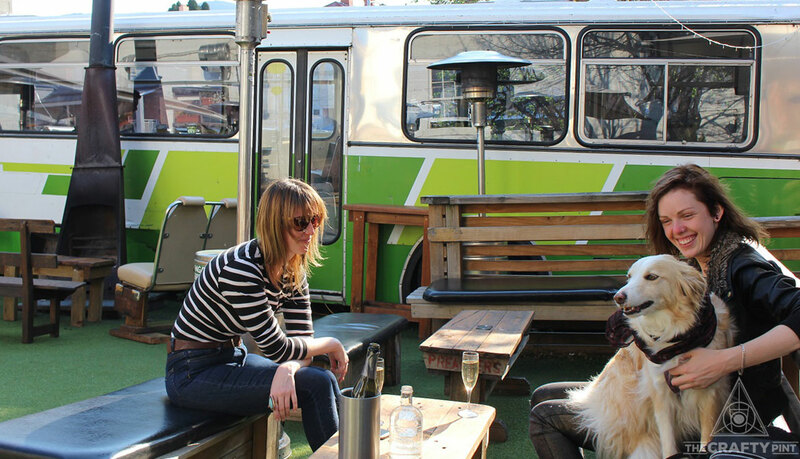 Wandering straight up Elizabeth Street, it may be quite the stroll to your next destination but Boodle Beasley’s beer list and relaxing beer garden make that brisk walk a worthy one. If you're staying strictly to this guide, you'll skip past both Shambles and T-Bone Brewing, of which more in our brewery crawl when it lands. The newest crafty Hobart venue at time of writing, Boodle Beasley was brought into the world by some of the team behind Last Rites Brewing but you’ll find far more than just that brewery’s beers on tap. The bar’s 16 taps give Boodle plenty of room to manoeuvre between some of the best craft beer from both Tasmanian and the mainland. If, by this stage in your crawl it’s food you’re after to go with your choice of beer, Boodle more than likely has you covered. 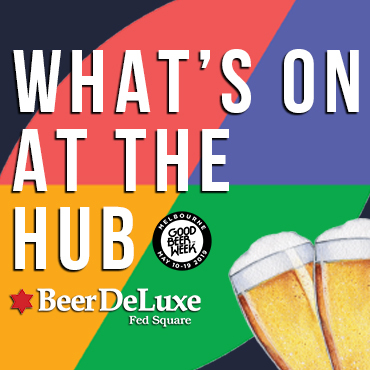 In fact, it’s a menu that seems entirely designed to match with good beer and includes the likes of mozzarella sticks, hot dogs, sweet and sour fried chicken and all manner of bao buns. Boodle Beasley is at 315 Elizabeth Street. The Winston is another of the historic pub buildings that decorate the city, previously the Eagle Hawk Inn, established in 1833. The bar is in the middle of the room, the pool table is never neglected, and the walls are cluttered with paraphernalia. The aesthetic is a marriage between old Hobart and Americana, which is no coincidence as the bar is run by Kris Miles and his American wife, Caroline Kiehne. As a result, they make tremendous American-inspired tucker and, since Kris launched a small microbrewery of the same name not far away, pour some fine, often US inspired beers of their own too. What comes through at The Winston is a great deal of passion and pride: it’s obvious that the proprietors and staff love their food and drink but, beyond that, they like what they’re doing and where they are. The Winston has been well lived in and, as a result, it’s a very comfortable place to be. At the end of the crawl you might find it quietening down, in which case a nightcap might be in order (let’s say a small glass of the strongest beer available). But sometimes you’ll come in at a late hour and find The Winston in party mode. And, if that’s happening, then grab a round of pale ales and find a seat if you can, because these guys know how to host a good time. The Winston is at 381 Elizabeth Street, North Hobart. Hop Vine & Still, 158 Murray Street – Opening in 2018, this bottleshop (pictured above) focuses on supplying the best from Australia’s small breweries, wineries and distilleries. 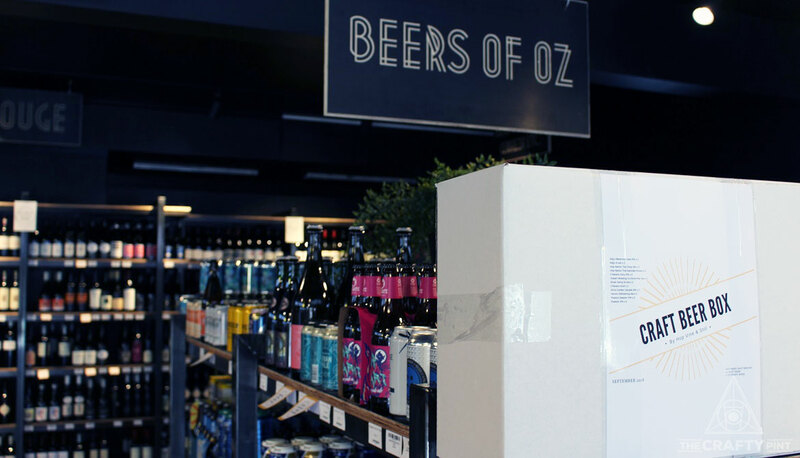 Cool Wine, Shop 8, MidCity Arcade, Criterion Street – One of the first in the city to focus on craft beer. Destination Cellars, 24a Barrack Street – If you're after an amazing array of small batch spirits, you'll be well served here, while there's a quality lineup of crafty beers too. Cellarbrations at The Abbey,236 Sandy Bay Road, Sandy Bay – An unassuming bottleshop that’s kept well stocked with a wide range of beers from near and far. Cellarbrations at Rosny Park – Another unassuming bottleshop, but walk inside and you'll find one impressive selection of craft beer lining the back fridges. You can check out other Crafty Crawls here and find all of the above venues and hundreds more in the free Crafty Pint app – download it free for Android and iOS here. If we've missed any crackers from this article, let us know. About the author: Bert Spinks somehow makes a living from writing, walking and drinking. Additional writing by Will Ziebell.